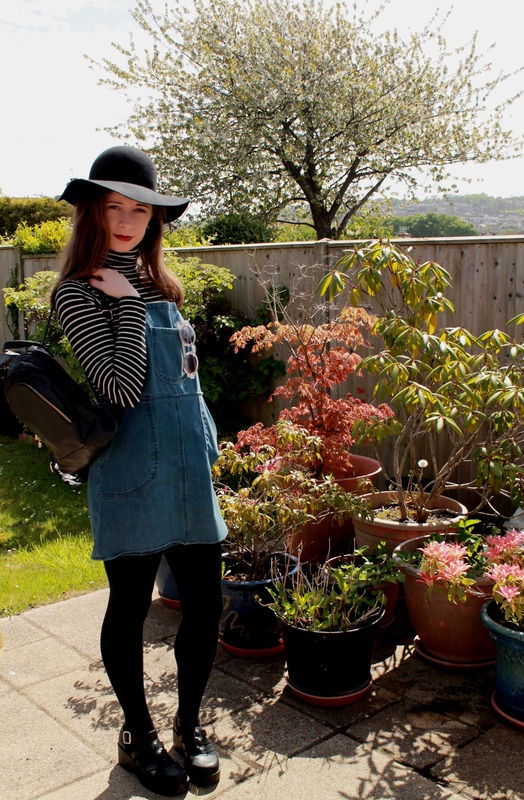 Here is another outfit I wanted to share with those of you reading my blog. To find out how to get the outfit, look down the bottom of the post. 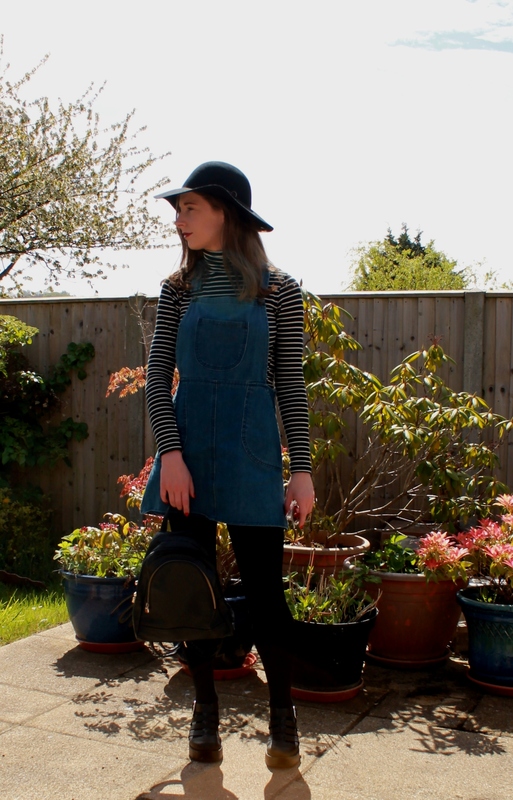 So today the sun was shining and who doesnt love a cute pair of dungarees in summer, however, I went for a denim pinafore dress in the dungaree style. 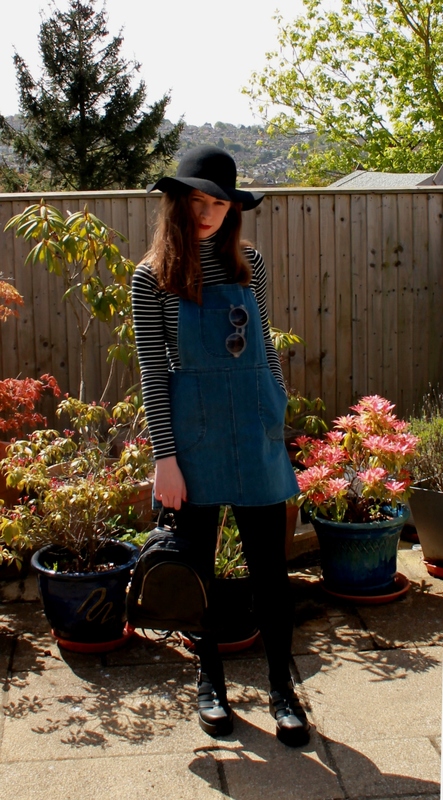 I underlayed the dress with my favourite style of top, of course a roll neck but in stripe. 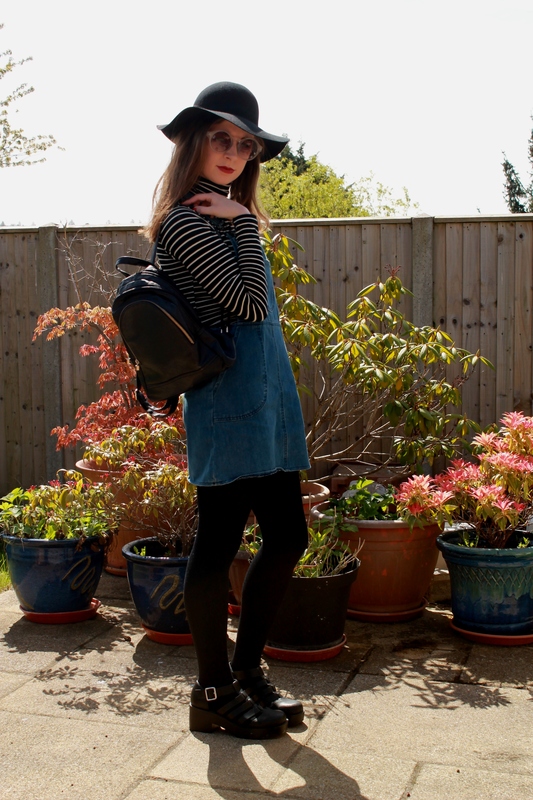 A little black backpack with those retro sunglasses, which brought the seventies to the outfit. However, I turned the outfit round with a pair of chunky sandals, sassy black fedora hat and a finish of a deep red lipstick. Love the look. your accessories are great too! Thank you! You’re blog is great! Thank you, yeah it’s a great casual outfit for the weather!